Hollywood is a never-ending wheel that is fed with the desires of aspiring actors and actresses who wish to one day see their faces on giant posters in historic American cities and their name in the credits in an American theatre. A few of them get to achieve this and one of such actors is Stuart Townsend, an Irish actor who has made considerable success beyond what he hoped for. He has starred in films like Queen of the Damned and The League of Extraordinary Gentlemen. His name will go down in Irish acting history as one of the most successful actors to grace the profession. Learn more about him below. Stuart once took up residence in Costa Rica but before he had the means to live in the Central American country, he lived in Dublin as the child of an Irish model and English golfer after he was born on the 15th of December, 1972 in County Dublin. He had always been interested in being an actor and he got an early start to achieve his dream when he attended the Gaiety School of Acting in his home city of Dublin. Through the school’s production of Tear Up The Black Sail in 1993, he began his unofficial career as an actor. Professionally, he began his career the following year in the production of True Lines in 1994. The stage plays gave Stuart a chance to develop his acting skills and it eventually led to him starring in Irish short films like Summertime and Godsuit. His track record, both on stage and in short films led to his first feature-length project in the film, Trojan Eddie. For any actor who wishes to achieve global fame, Hollywood is the goal and Stuart got his chance to star in his first notable Hollywood project in About Adam where he played the seducer titular character, Adam. His performance opened him up to the industry and he started getting recognition from filmmakers, critics and movie studios. This led to other appearances like in Queen of the Damned where he played a vampire role and The League of Extraordinary Gentlemen, appearing as Dorian Gray. Perhaps what would have been the biggest role in his Hollywood career was a role as Aragorn in the iconic Lord of the Rings trilogy but he was eventually replaced by Viggo Mortensen due to what has summarily been described as creative differences. Since he lost the role, he has starred in other projects like Night Stalker in 2005 alongside Gabrielle Union, Chaos Theory alongside Ryan Reynolds in 2007, etc. In the same year, Stuart Townsend marked his name as a film director by directing the film, Battle in Seattle. The film gave him a chance to work with big names like Charlize Theron, Woody Harrelson, and Ray Liotta. He got another chance to star in a big blockbuster, when he was cast as Fandral in the Marvel Cinematic Universe film, Thor, but he was also replaced by another actor for creative differences. Since he became a professional actor, he starred across all three mediums of acting – Stage, Film, Television – in a total of 21 films and nine television shows. His filmography has earned him accolades like Best Actor and Best Script from organizations like Irish Film and Television Awards and Fantafestival. 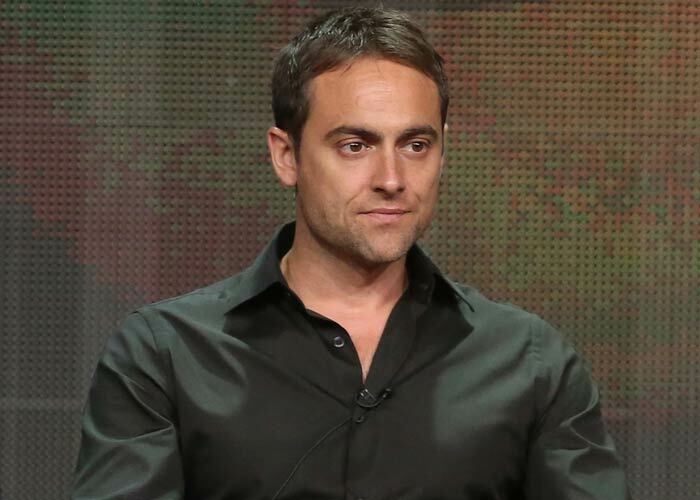 Stuart Townsend’s success so far in the acting industry has helped him to a moderate net worth of $5 million. He can look towards the volume of his filmography, which contains successful films like About Adam as contributors to his wealth. He also owns a car garage in Costa Rica. Stuart Townsend got a chance to live the dream of many men when he dated Hollywood actress, Charlize Theron after meeting her in 2002. The couple, who never got married officially were together for a while and lived together in a home in Los Angeles. The couple, however, broke up in 2010 in the middle of a vacation. He tried his hands at love again in 2013 when he met Agatha Araya. There is no official word on if he was ever married to Agatha, due to the fact he quit acting and moved to Costa Rica to be with her. The relationship produced two children, Desmond, and Ezra Townsend, but like his first major relationship, Stuart broke up with her in 2019. No official reason was given for the couple’s split but it has been suggested it was due to Stuart’s return to professional acting in 2017 that started the path to the relationship’s end. Stuart Townsend is a 5 feet and 11-inch hunk. He also weighs 70 kg and spots dark brown eyes and brown eyes. As a man with a fit body, he has a reported body measurement of 32 inches, 42 inches, 15 inches, measuring his waist, chest, and biceps.